Nicollet Island Park	Located off Historic Main Street, the park contains a promenade with a view of the first dam on the Mississippi, built in 1858, and features the elegant Nicollet Island Pavilion. Based on the shape and design of a 2000-year old terracotta mold for an ancient bronze bell, Bell of Two Friends by artist Karen Sontag Sattel (2001), is a monument to friendship and peace. The monument was commissioned by Ibaraki, Japan, Minneapolis’ Sister City. Name: The island was named for Joseph Nicollet, a French explorer and cartographer who mapped the region of the Upper Mississippi River in the 1830s. In the Minnesota vernacular, Nicollet rhymes with “chiclet.” The name for the island existed before Minneapolis was created. Nicollet Island nearly became the first park land purchased in Minneapolis. In 1866 the Minnesota legislature approved the union of the two towns on either side of St. Anthony Falls, Minneapolis and St. Anthony. The act provided for the establishment of municipal buildings on the southern half of Nicollet Island and reserved the northern half of the island as a public park. The legislature mandated that voters of both towns had to approve the union for it to become official. Minneapolis voted first—and St. Anthony voters never got a chance to express their wishes, because Minneapolis voters defeated the measure by fewer than one hundred votes. The vote was long remembered not for the potential union of the towns, which was accomplished anyway in 1872, but for the voters’ rejection of Nicollet Island as a park. The sticking point at the time was the cost of acquiring the island for the city, which was put at $30,000-$40,000. 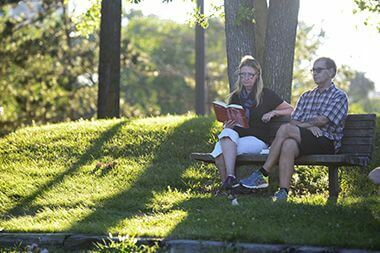 The issue became a rallying cry for park proponents over the next 17 years until the Minneapolis park board was created by the legislature—and approved by Minneapolis voters—in 1883. Curiously, after the park board was created, it seemed to have no interest in creating a park on the island. One of the only references to the island in park board proceedings in the first couple decades of the park board’s existence was a request in 1894 from “the committee for the protection and improvement of Nicollet Island” for the park board to acquire the shores of the island. The request was referred by the park board to the city council. Whether the request may have generated some interest on the park board is not known, but the park board was in serious financial trouble at the time following the Panic of 1893 and it had no money for acquisitions. In 1908, the park board did approve taking charge of a strip of land on the west side of the island, which was then owned by the city of Minneapolis and to spend up to $200 to improve the land. Later that year the park board established a committee to ask Mrs. W. W. Eastman to donate a strip of land around the island for a park. No follow-up reports are recorded for either of those actions. As part of its ambitious plan for the redevelopment of nearly the entire downtown area, the Minneapolis Civic Commission in 1910 proposed turning Nicollet Island into a park, but once again no action was taken. In 1915 park superintendent Theodore Wirth proposed the creation of a pier or park on the west side of Nicollet Island primarily to relieve overcrowding at the new Gateway park near the west end of Hennepin Bridge. Wirth followed that recommendation three years later in his annual report with a suggestion that the park board acquire all the river banks, including those on Nicollet Island and Boom Island, from downtown to the northern city limits. He speculated at the time that Nicollet Island would “surely be acquired by the city,” and suggested that in the meantime the park board should lease or purchase the river banks on the island. Once again no action ensued and the issue of Nicollet Island largely disappeared from park board records for decades. The idea of developing Nicollet Island as a park was introduced again in a 1960 park board report on its goals in anticipation of its hundredth birthday in 1983. 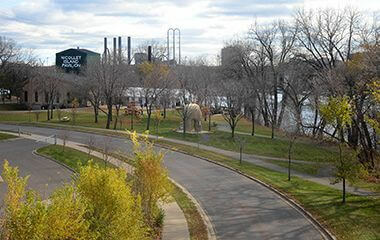 In that report the park board estimated an expenditure of one million dollars to acquire land on Nicollet Island and near St. Anthony Falls for a park and historic site. The issue re-emerged briefly in the park board’s 1964 annual report when it was noted that the park board had met with a citizens committee on Nicollet Island to hear proposals for the development of a 48-acre historic site on the island. The report noted that the park board had resolved to work with other city agencies to find a solution to the use of Nicollet Island and that it “seemed practical” to embellish the island with replicas of historic structures. The ground work for preservation of the area was laid in 1971 when the land around the falls was placed on the National Park Service’s list of National Historic Districts. The impetus to develop the central riverfront, including Nicollet Island, came from a 1972 report entitled Mississippi/Minneapolisproduced by city manager Tommy Thompson. In the wake of that report, which proposed redevelopment of the former industrial and railroad land of the riverfront, the park board, city council and the city housing authority created a Riverfront Development Coordinating Board (RDCB) in 1976 chaired by park commissioner Ole Olson. The RCDB’s primary objective was to create a development plan that could be submitted to the Metropolitan Council for funding through the state legislature. The RCDB produced a final report in 1978 that included specific recommendations for the development of a central riverfront park. 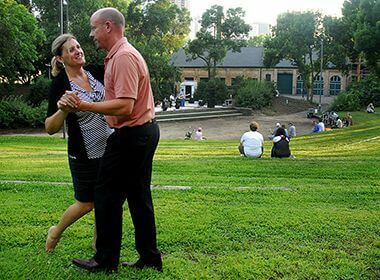 By that time the first park on Nicollet Island had already been created, by the city, as a part of the country’s 200th birthday party. The city had designated land on the southern tip of the island, acquired in 1944 and reserved for use as a public harbor, as Bicentennial Park. Two years later, the city turned over the park to the park board and the park board owned its first three acres of land on the central riverfront. That acquisition was consistent with RCDB plans, almost all of which have now been executed, from a parkway on the west side of the river to the development of the east river bank as a park from Boom Island downstream to Father Hennepin Bluffs. 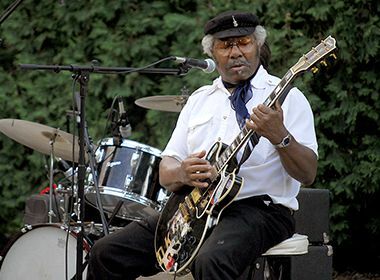 The plan for the lower half of the island called for converting the Island Sash and Door Company building into a quality restaurant, transforming the Durkee-Atwood building into a regional arts center and keeping the amphitheater that had been created in Bicentennial Park. For the upper half of the island the RCDB recommended creating a historic village, with preserved houses, a community meeting house, and a plaza with an information center. One of the only elements of the RCDB plan that has not been followed was for the development of the upper half of Nicollet Island. In 1979 the park board purchased more than eleven acres of private property on the island and in 1981 added more than five acres from the housing authority and acquired the Durkee-Atwood building and it’s 3.6 acres of land. At that time the Durkee-Atwood acquisition was the most expensive in park board history at $6.1 million. The expense was due in part to the fact that the property was an active commercial property and the company had to be relocated. The park board later converted the building into the Nicollet Island Pavilion. The land was purchased with money provided by the Minnesota legislature through the Metropolitan Council. In 1986 the park board completed the long-negotiated purchase of the Island Sash and Door Building, which had already been converted into the Nicollet Island Inn and continues to operate under a lease from the park board. The upper half of the island proved to be a more difficult deal due to conflicting views of how the land should be used. 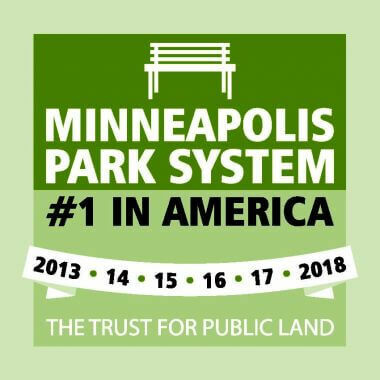 In 1983 the park board acquired title to four-plus acres of land from the Minneapolis Community Development Agency and leased the land back to MCDA. The MCDA then sold by lottery—for $1—99-year leases to individuals to maintain historic homes under very tight restrictions. The RCDB’s original plan allowed for De La Salle High School to continue operating on roughly six acres of the island and for residential use of about six acres on Grove Street, which were developed into townhomes in 1983. The old railroad bridge on the north end of the island that connected to Boom Island was converted into a pedestrian bridge and another bridge was added to the island. 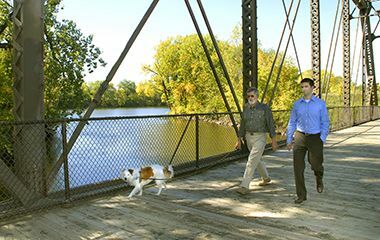 Hennepin County relocated a section of the Broadway Avenue Bridge, which was being replaced, to connect Merriam Street on the island to Historic Main Street on the east bank. In 2008 the park board approved the construction of a football field on park land adjacent to De La Salle High School. The field was built by the high school to serve the school and northeast Minneapolis. The first games were played on the field in October 2009. In 2014, a Nice Ride bicycle rental kiosk was installed near the entrance to the pavilion. 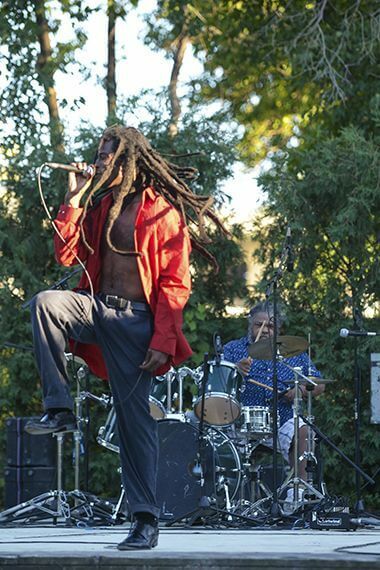 Nicollet Island is one of the main locations for the Music in the Park summer concert series. 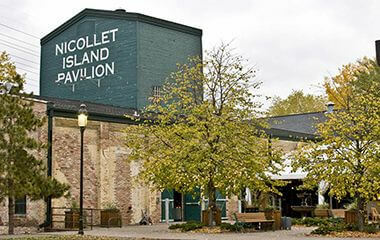 Host your next event at Nicollet Island Pavilion. 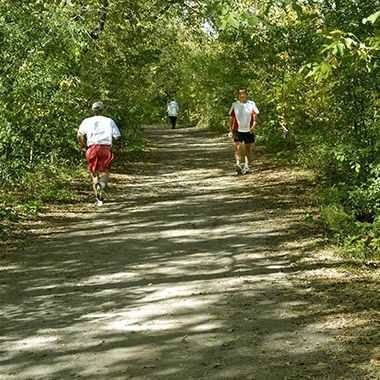 Whether you walk, run, or ride, trails through Nicollet Island Park offer spectacular river and downtown views all year long.